At Chambers Family Dentistry, we have a history of providing outstanding dental care in the Annapolis, MD area. Today, we are still committed to providing comprehensive dental care to ensure patients receive only the best possible care. This is especially important when it comes to restoring patients’ oral health following dental damage or decay, when they are more likely to be in pain or under stress. We go above and beyond to ensure every patient has a fully restored smile that looks and feels great. Contact our team to find out more about restorative dentistry or to schedule an appointment. A dental crown is a tooth-shaped restoration that simply slips over the top of a chipped, cracked, broken, or decayed tooth in order to restore both its appearance and function. To get one, your doctor will start by removing the damaged portion of your tooth, and then they’ll shape it to securely fit underneath the crown. They’ll take an impression of your teeth, and this will be sent to a local lab to fabricate your crown. During this time, you’ll be fitted with a temporary one. After about a week, you’ll return to the office to have your final crown placed. With the proper oral hygiene, dental crowns can easily last for 10 years or more. 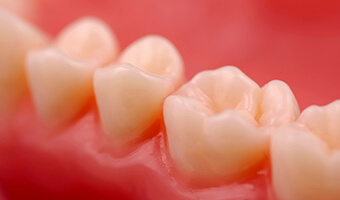 A dental bridge is a kind of restoration that is ideal for replacing a row of consecutive missing teeth. In order to get one, your doctor will start by placing dental crowns on the teeth that are on either side of the missing ones. These will then be attached to prosthetic teeth that literally “bridge” the gap between them. It's just that simple, and they are one of the easiest ways we can help you replace multiple missing teeth. 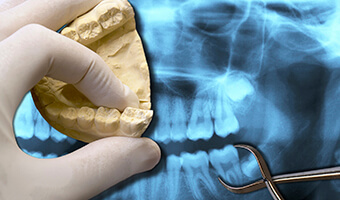 The typical way to repair a tooth that is only moderately decayed or broken is to use a filling. 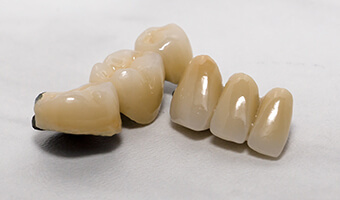 Today, rather than amalgam, we only use composite resin to give our patients tooth-colored fillings. This material can be specially shaded so that it perfectly blends with your natural enamel, and it also is able to form a direct bond with your tooth. This means more of your natural tooth can be preserved when it is placed, which will help it last much longer. Partial and full dentures from Chambers Family Dentistry are some of the quickest and easiest ways we can help you replace a large amount of missing teeth. 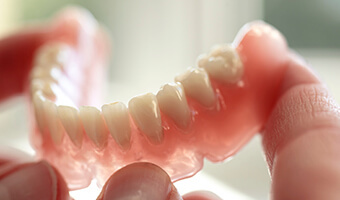 Today’s dentures are still comprised of a gum-colored base attached to prosthetic teeth, but they are smaller, more comfortable, and more natural-looking than ever. Partial dentures can help a person who is missing teeth throughout their mouth, while full dentures can replace and entire arch. In either case, our doctors and our team will take all the time needed to make sure you get the perfect look and fit. Despite its dubious reputation, root canal therapy is actually one of the best tools we have to RELIEVE severe dental pain, not cause it! We typically use it to repair a tooth that has suffered damage to its innermost layer, and often, it’s how we can save the tooth from being extracted completely. Thanks to modern techniques and sedation, we can ensure that you’ll be completely comfortable during the procedure.Root canal therapy is really nothing to fear, and if you’re in severe dental pain, it could actually provide the path to complete relief. If a tooth is severely decayed or damaged, or if there is not enough room in the mouth for all of the teeth, your experienced dentists at Chambers Family Dentistry may recommend tooth extraction. 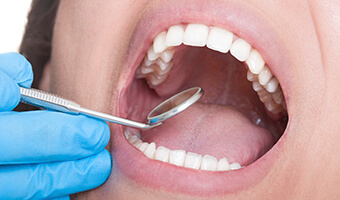 In such cases, tooth extraction may be the best option for restoring your oral health. One benefit of tooth extraction is that it can prevent infection from spreading to other areas of the mouth.Restorative dentist Dr. Chambers, Dr. Raimondo, and Dr. Jiminez, as well as the rest of our caring dental team, will ensure that your dental treatment is comfortable and painless. If you are experiencing any type of tooth pain, we invite you to call our Annapolis dental office today. We are eager to help you achieve optimal oral health.